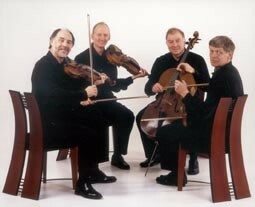 The Lindsay Quartet is recognised as one of the worldís foremost string quartets. Now, after an incredible 39 years (and 20 years since the only change of personnel), the players have decided that this is to be their last season. There will surely be many listeners who will want to hear one of Britainís best-loved quartets in this farewell concert. They play music by three composers whose works lie at the very heart of their repertoire.